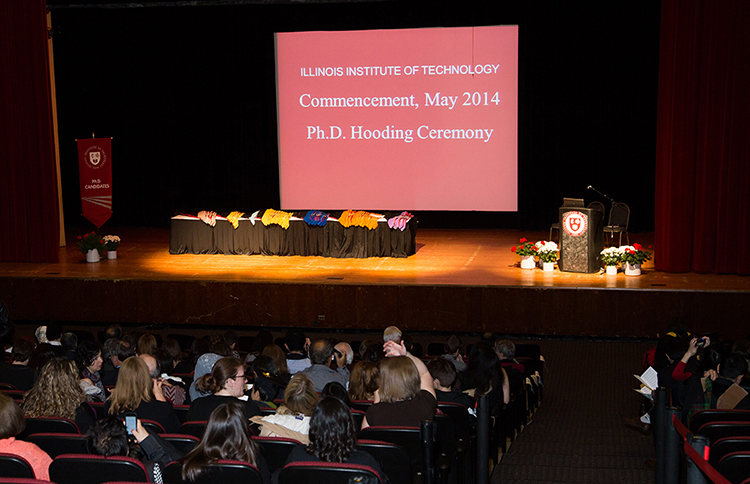 The Academic buildings at IIT have auditoriums and class rooms equipped with overhead projectors and live recording facilities. 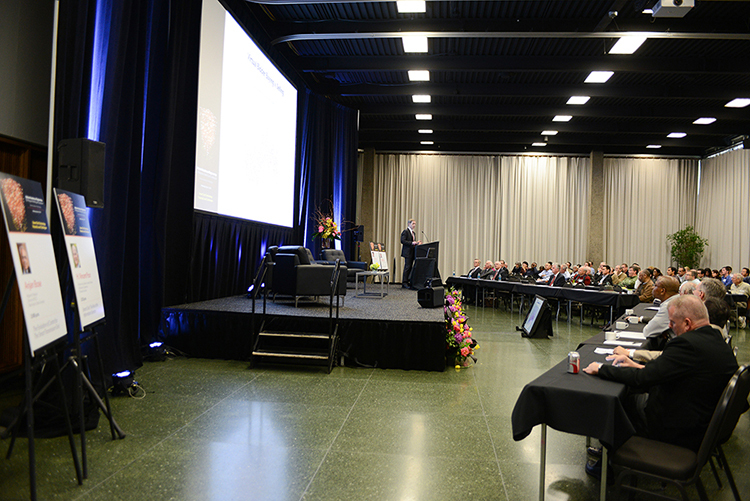 Hermann Hall, auditorium seats 836 people, with full stage, sound, lighting and AV capabilities. 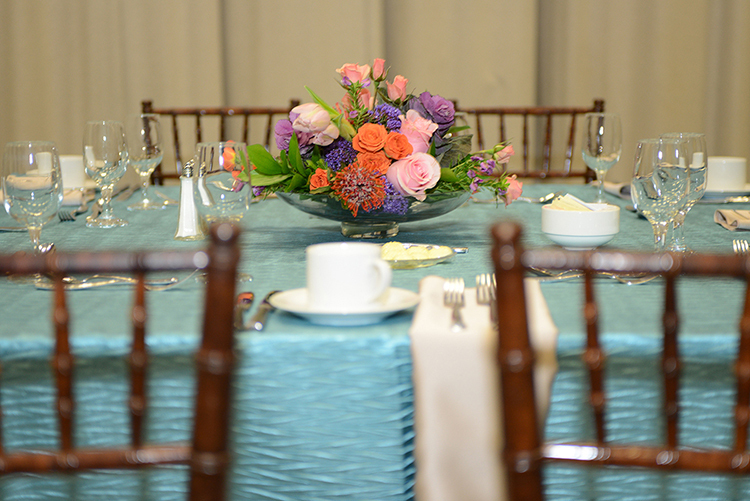 Hermann Hall, ballroom set for a formal dinner event. 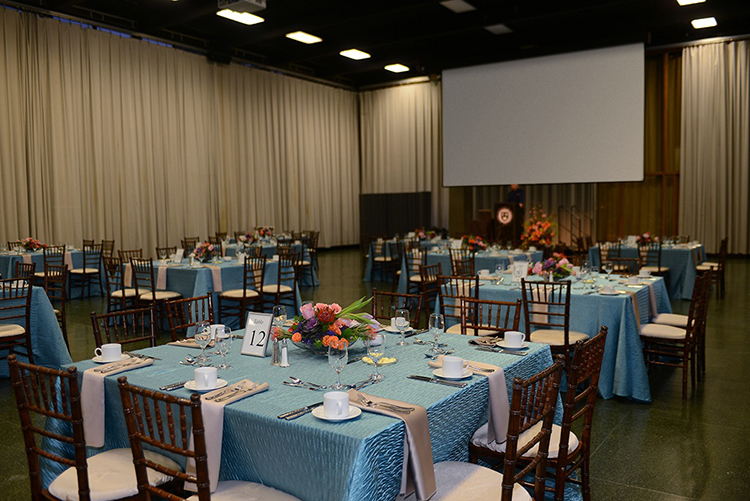 Hermann Hall, ballroom set for formal dinner with stage, podium and AV. 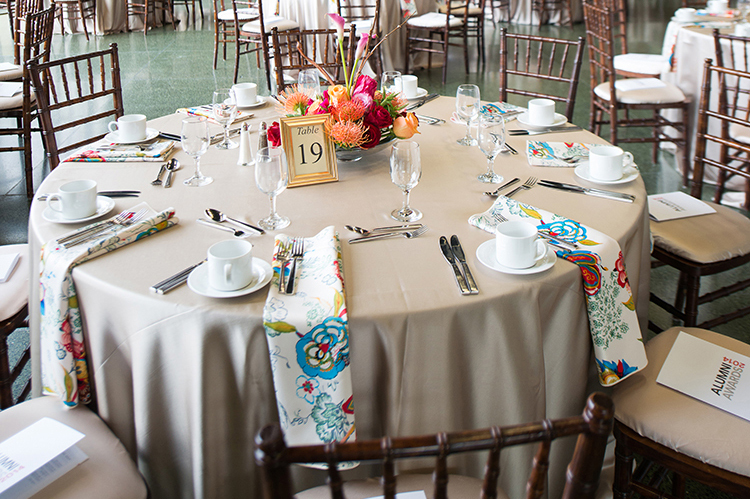 Linen, chair rentals with floral options are available in all our rental spaces. 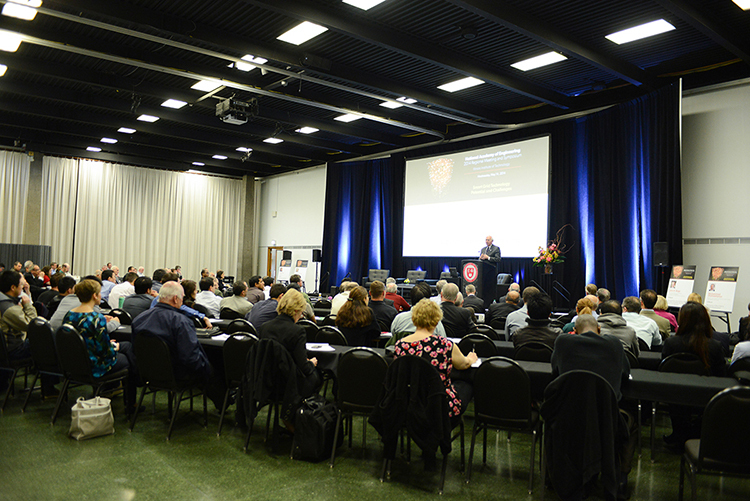 Hermann Hall, ballroom set for 200-person symposium with stage, podium, and AV. 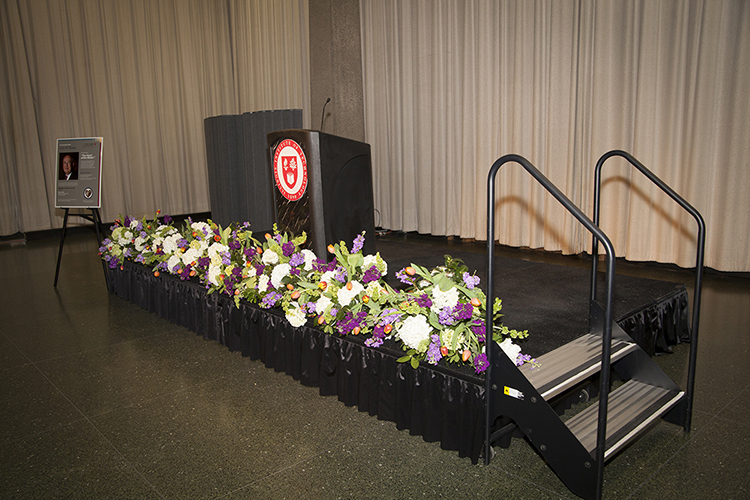 Stage, podium, pipe and drape, and AV can be rented for large events in the Hermann Hall, ballroom. 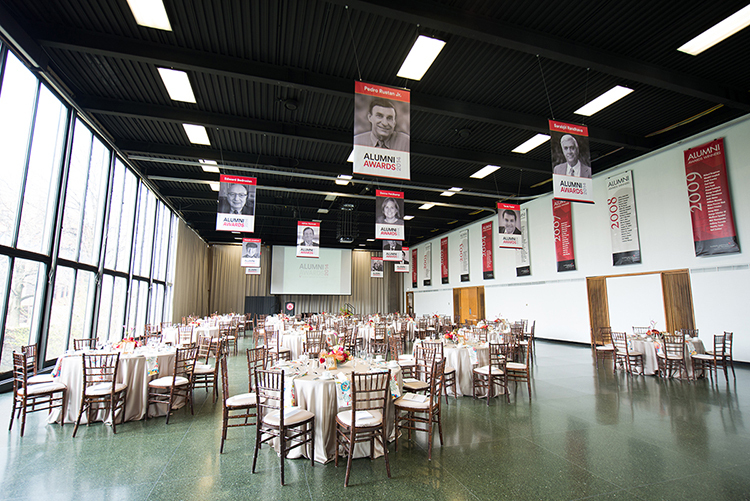 Hermann Hall, Bballroom set for 300-person lecture with stage, podium and AV. 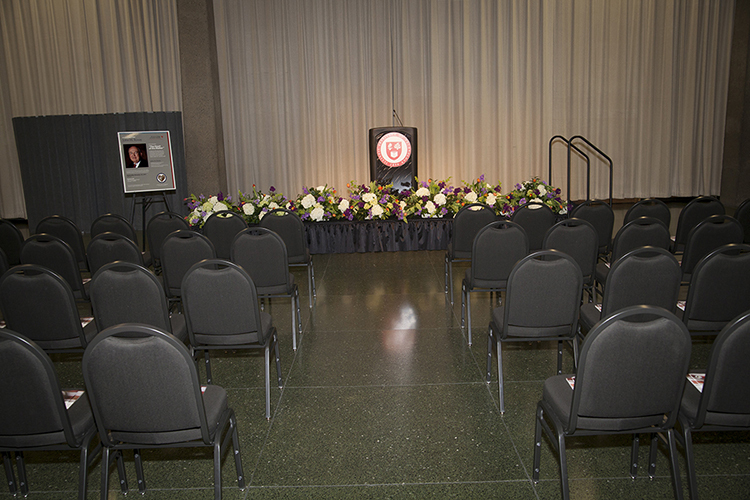 Small stage and podium set up for the Hermann Hall, ballroom. 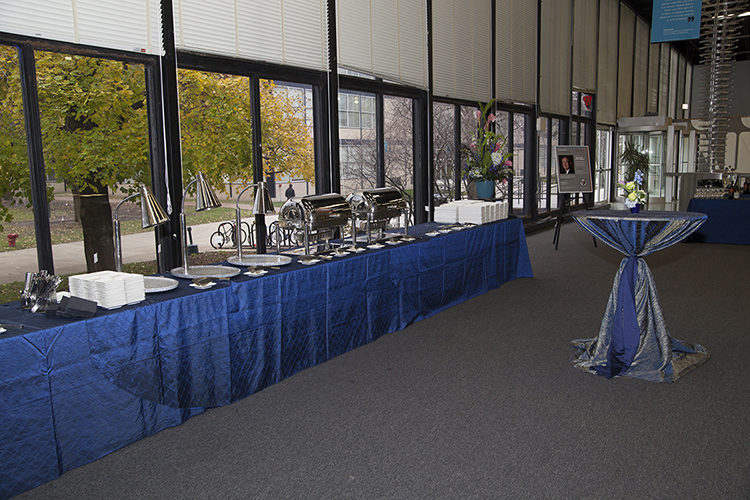 The gallery lounge in Hermann Hall is used for many receptions after an event in the Ballroom. 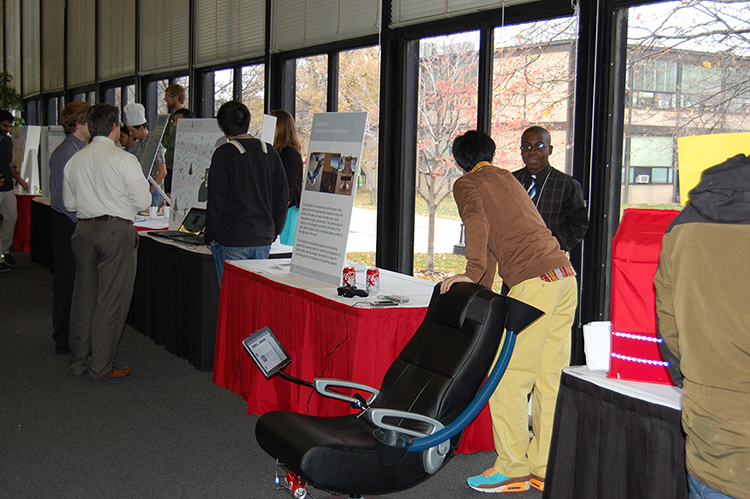 The gallery lounge can be used for vendor fairs inside Hermann Hall.